Total Built-Up Area - 1,832 Sq.ft. 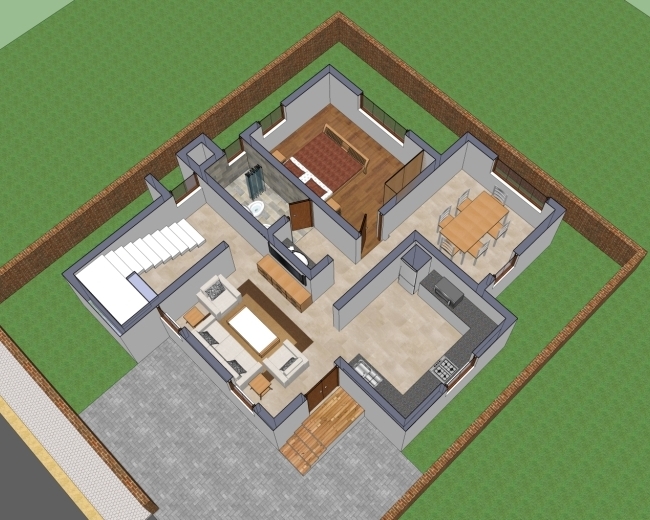 This 3 bedroom house floor plan has an advantageous size which will best suit an plot of size 50 x 43 ft. The ideal layout is good for partially open kitchen along with the living room which gets a convenient place. The formal dining is bit away from the main living space, but it does add a sense of individuality and private zone for the family. 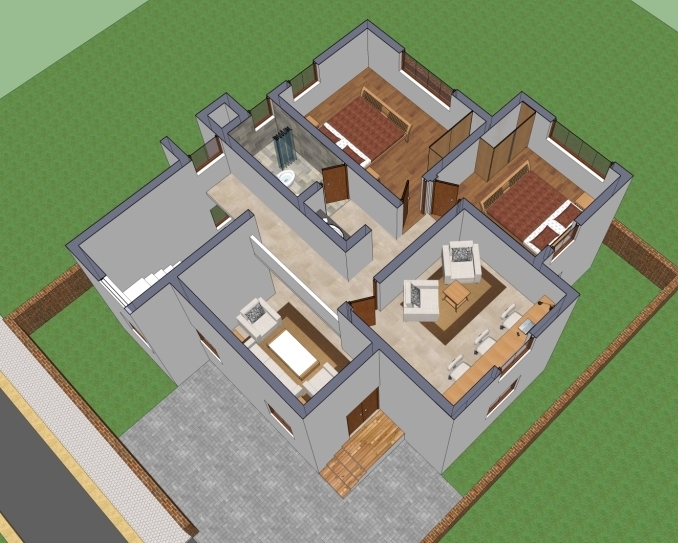 This two floor house plan is well suited for nuclear or large families, as all the rooms and spaces are of convenient size and scale. Also the proximity of the rooms to each other is an added advantage as nobody prefers to have long dead passage spaces within the house which they have to walk to reach any room. The all the rooms share a common toilet which is an added bonus in reducing the overall cost of the house construction.